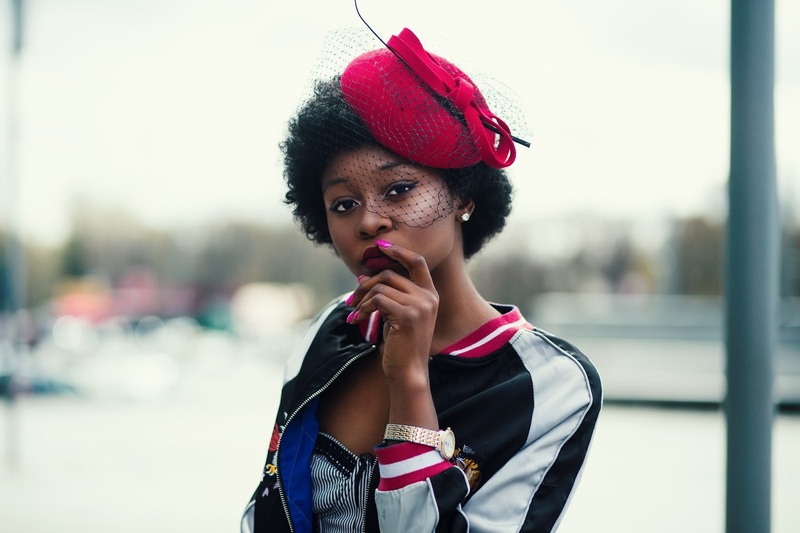 How to style Track-pants and Fascinator as street-wears. Recently on Vogue, I saw Gigi Hadid wearing a lovely sweat-suit well embellished, perfect for a party look. Casuals have advanced and designers are impacting and inputting comfort into our wardrobes. Tracksuits/track pants have been seen on runways, generally casuals are taking over our formal wardrobe. A tracksuit is an article of clothing consisting of two parts: trousers and a jacket usually with front zipper. It was originally intended for use in sports, mainly as what athletes wore over competition clothing (such as running shirt and shorts or a swimsuit) and would take off before competition. In modern times, it has become commonly worn in other contexts. The tracksuit was one of the earliest uses of synthetic fibers in sportswear. What makes the tracksuit stylish are the Sides stripes. 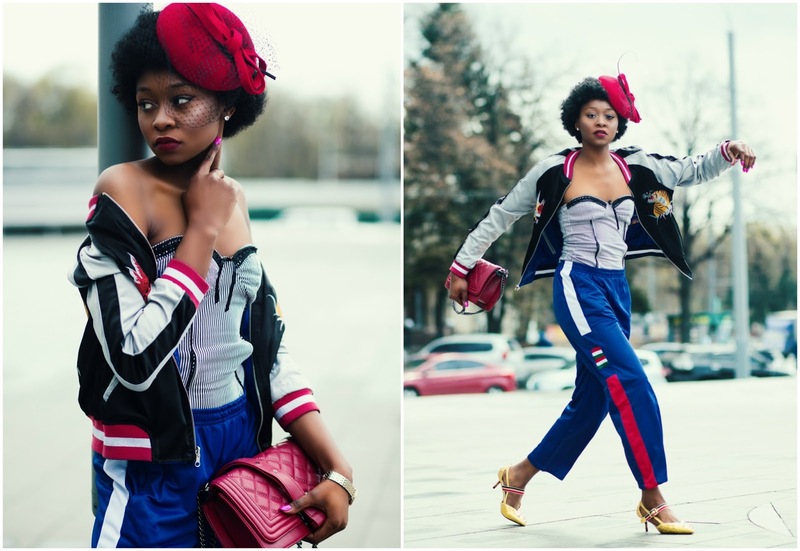 What do you think about Trackpants and Fascinator as street wear? Elastic Waist Color Block Track Pants have been seen on the streets. Can you wear a track pant to a party? Here is a makeover I gave this track pant, Wearing a mini stripe corset by Anna Christine, Mesh Bowknot Feather Cocktail Fascinator Hat and the DEMAN Studs And Spikes Kitten Gold Heel Pumps by Jessicabuurman. 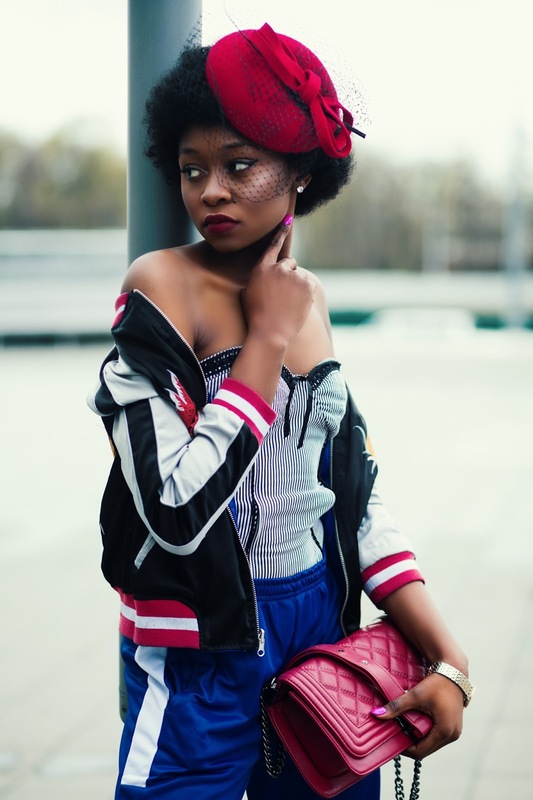 Get this bomber jacket at a cheaper rate at Sammydress with eagle and tiger embroidery also styled here. You can also buy Here, Here, Here.